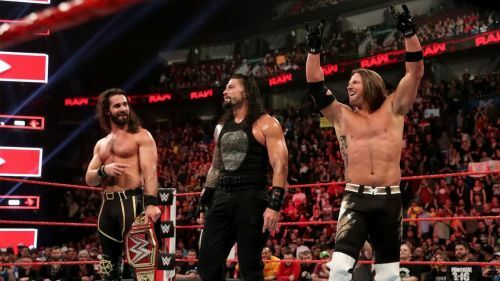 This week's edition of WWE Monday Night RAW (15th April 2019) saw a lot of contrasting moments. 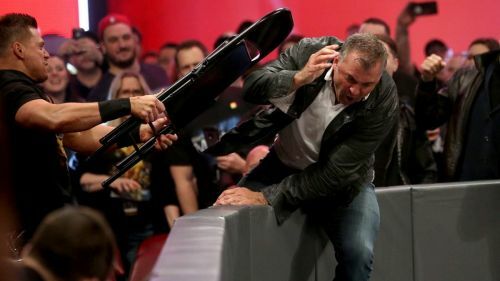 Right from AJ Styles arriving at RAW to The Miz finally earning his WrestleMania payback against Shane McMahon, last night's episode had it all. For a Superstar Shake Up episode of RAW, there were plenty of new faces on the RAW Brand, however, something felt missing throughout the show's runtime. There were some questionable booking decisions, but in the end, the episode did not feel as grand as it should have been. SmackDown Live is 'the house that AJ Styles built'. Almost every modern WWE fan is aware of that catchphrase. Now that Styles has finally arrived on Monday Night RAW, it seems quite obvious why he would leave SmackDown Live, a show that was synonymous with his name in the past few years. AJ Styles had reached to the top of the SmackDown Live roster, and having experienced it all, there was simply nothing much left for him to achieve on the Blue brand. Hence, AJ Styles' move over to Monday Night RAW is a fresh start for his career. Imagine the numerous top-class opponents that he could face every week. Even though RAW is WWE's staple weekly show, the quality of episodes throughout the past few years have been questionable. So this also presents a unique opportunity for Styles to bring some flair to the Red brand. Perhaps it will only be a matter of time until Rollins and Styles clash against each other for the Universal Title. Wouldn't that be a great feud?